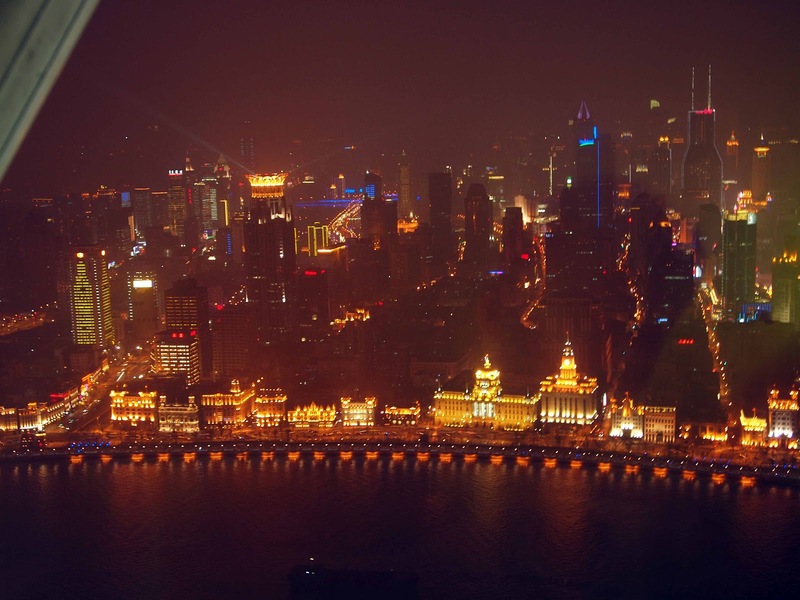 The Bund - a waterfront area in Shanghai - is a popular tourist district. Lined with historical buildings, The Bund is part of the Shanghai International Settlement, a treaty port established at the end of the first Opium War in 1842. This area is across Pudong, the new financial and business district where the Oriental Pearl Tower - the vantage point where this picture was taken - is located.